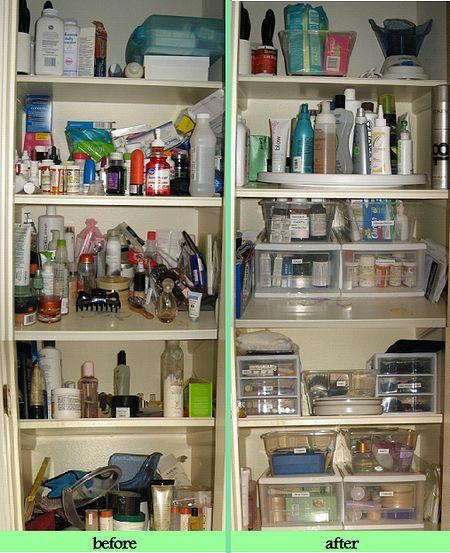 Hair care products, make-up, medicines, lotions, potions, creams, tonics…! Face it ladies (and sometimes gentlemen), we own a lot of stuff. It’s expensive too, so we hate to throw this stuff away if we aren’t going to use it. But what does it cost to keep it? There is more to “price” than the monetary value of an item. Often the price we pay for keeping all the products we never use is a cluttered bathroom, which in turn makes for a rocky start to our day. 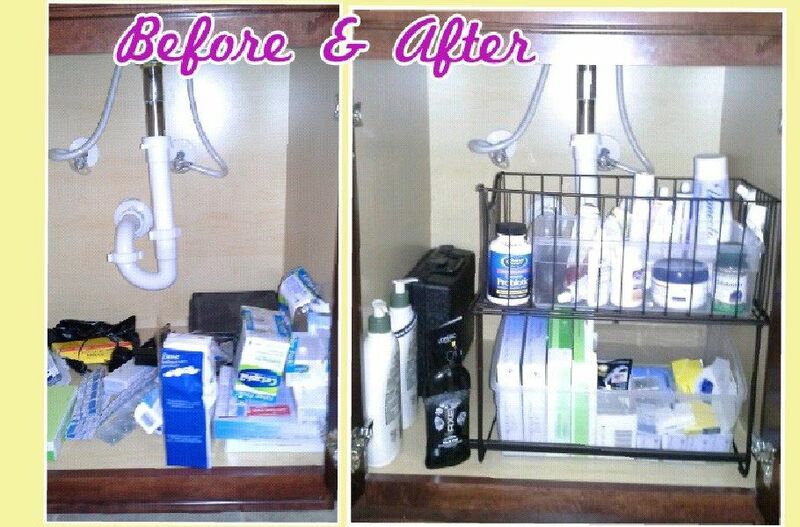 Bathroom organization is a critical component to our day. After sorting through everything to determine what was worth keeping, it’s a simple matter of categorizing, storing and labeling. 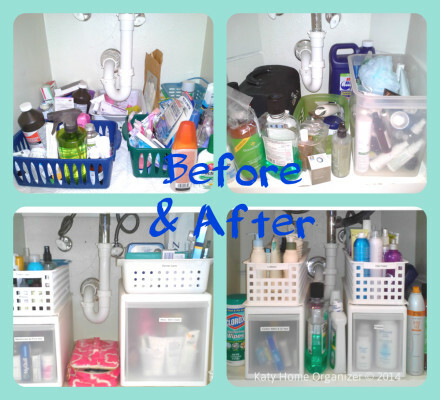 Bathroom organization is quick and packs a powerful punch!